In a research note seen by AppleInsider, Kuo says average shipping times for Apple’s flagship iPhone XS Max suggest demand for the premium handset is in line with expectations. With launch shipments already pushed back one to two weeks, depending on model, the company’s “high price strategy” appears to be paying off. Chinese demand is expectedly strong as the XS Max ticks off that demographic’s most-wanted features with a new gold color option, dual-SIM support and an oversized 6.5-inch display. Apple’s new dual-SIM solution relies on eSIM technology already in use in Apple Watch and iPad, but the company is unable to market the technology in China due to carrier restrictions. Instead, Apple took the extra step of building a special model for Chinese consumers that supports two physical SIM cards, one on each side of the SIM tray. Kuo notes average shipping times for XS Max are shorter than the two to three week ship-by dates seen during last year’s iPhone X release, but believes the improvements have more to do with the supply chain than relaxed demand. As such, the analyst is forecasting XS Max to account for 25 to 30 percent of new iPhone shipments. Demand for the 5.8-inch iPhone XS is lower than anticipated, Kuo says, pointing out most models of the iPhone X successor will deliver to customers on launch day. 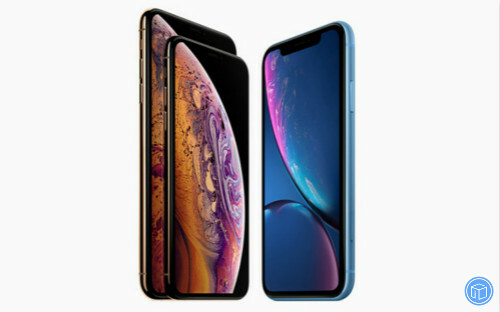 Considering the numbers, the analyst believes more users are interested in iPhone XS Max and iPhone XR, the latter being a new mid-tier iPhone with 6.1-inch LCD screen set to go on sale in October. On the back “lackluster demand,” Kuo decreased iPhone XS allocation estimates from 15 to 20 percent of all new iPhone model shipments down to 10 to 15 percent. Picking up the slack is iPhone XR, which moves from 50 to 55 percent up to 55 to 60 percent of new model shipments. More affordable pricing starting at $749 in the U.S. and dual-SIM support in the Chinese market are likely to fuel demand for the aluminum clad iPhone. Finally, Apple Watch Series 4 is performing better than expected with Apple showing multiple model stockouts in participating launch countries. Kuo attributes increased interest to new functions like advanced heart monitoring and electrocardiogram capabilities. Currently, Apple Watch ECG support is limited to the U.S., where the company secured FDA clearance for over-the-counter sales, and is not scheduled to roll out until later this year. During its unveiling, Apple COO Jeff Williams said the company is working to bring ECG capabilities to other countries, but failed to offer a timeline on release. Kuo predicts Apple Watch shipments will reach 18 million units in 2018, with Series 4 accounting for 50 to 55 percent of the whole. This entry was posted in Apple, Tips and Tricks and tagged high preorder demand for apple watch series 4 and low expectations for 5.8-inch iphone xs by IosdroneD. Bookmark the permalink.